Hello, guys in this post we talk about content. What is content and how to create content? Many peoples don’t know about it. How content business can help to grow your digital business and any business. Suppose that if some customer comes on your electronic shop and want to buy something tv or home theater so first, he wants to know about product what he is purchasing and is it feet for his needs. After knowing everything about the product then he decides to buy it or not. Like that in the digital world, everyone goes to the internet to check about products and his ratings to know that’s the product is good or useful for him/her. Through the content, companies can try to sell his products but it is not so easy. If you want to do this type of business first you need to know about consumers needs. Content is that in which peoples sharing information about anything. you will ever see web series, movies, blogs, ebooks, memes, etc, these are contents. But now it is not a just information sharing platform now it becomes a huge market and peoples making lots of money from it. In these days you will be seeing many platforms comes online and started creating contents like videos, text, podcasts, images to generate more sale and income. But in it, video contents are very high and most preferred content by companies. They advertise their products through video contents. Because it is more efficient and engaging and familiar with the audience. Companies can easily influence people’s by video ads and so their products. But text contents also work very well. In many cases, companies make blogs and contact bloggers to publish their products description to influence the audience. For that, they will pay a high amount for just content. But first, in your blog should come the high amount of traffic on a daily basis. In many cases, image contents can work well. You will see image types of ads on Facebook. There are many companies runs their campaigns to generate sale with images content also. So if you think images like memes are just a wasting of time then you are don’t have enough knowledge about marketing. Companies can increase their followers by posting memes and after getting high amount followers they will advertise on their platform others products and services and generate money. In these days peoples turning to the podcast and loving it also. If you don’t know about podcast so I’ll tell you that is voice recorded information like blogs. If you want to make your content conversational so first you need to find the problems, that peoples facing in the blogging field. You can find a question from quora.com here many people share their problems with the world and ask questions. You can pick up their questions on your content and try to solve them. 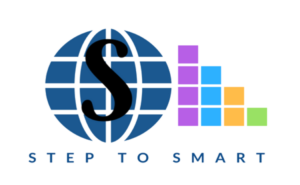 When peoples finding solutions from your blog they can revisit your blog again and again. Peoples always want to know genuine solutions not fake or misleading. If you are publishing fake things on your blog and manipulating the title. they will come once in your blog and after they don’t trust you and never come back again and after some time you can get losing your traffic and ranking also from the search engine. When you are writing your content try to put questions in it like ‘hey if some problem facing in or not working for you this solution comment below I’ll personally contact you and help you in finding the solution for you’ that’s types thing can help you to make trust and grow your business. How can I find a freelance content writing job? This is a big problem for writers. They can’t find a writing job easily but on the internet, they have a huge opportunity in this field. Many bloggers find writes for his blog. But the big problem is where and how to contact them. If you are searching for a job in this field then maybe this blog can help you more. First of all, you can create freelancing account on freelancing websites like Fiverr, up work. After creating account set up your profile properly and write in a profile that can attract customers. Another solution is you can make your own service website. There you can publish about your work write blogs about content making, marketing so that customer will be impressed through your website and he contacts you. But before giving your service know about his job so you can do his work properly without doing any mistakes. Many people running these types of companies and making huge money by giving services. How do I make content SEO friendly on WordPress? When you are writing any content for your client or for personal blog first of all research on the topic deeply because if in your content doesn’t have enough knowledge it can’t be helpful for someone. If you are researching on the topic so search on Google and check out all first page contents related to your topic and observe it deeply. After getting whole knowledge about your topic, then start writing it. When you are writing your content make sure your content is relate to the reader. When someone relates to your content you are building trust for your business. Focus keywords are that keywords on which topic you are writing your content like this article about “content” so in this post we take care the main keywords are repeated as their use so that Google bots can understand this article is what about. The title plays a significant role in an article because when someone see your title first, if your title can make curiosity in the reader’s mind. then they will click on your post .if your title is too simple so no one clicks on it. You can understand this example. These content writing skills can increase your blog traffic. In this 1 or 2 which title can make more conversion rate obesely no 2. So your title is very important, so take some time on title creation. In the description, you can write half knowledge because if you will write the main thing in the description users can read through the search engine result page and can’t visit your blog. That is not good for your ranking. Your description must be between 120 to 145 characters so that can properly display in the result page. In the post, you are always put some images to make your content more attractive and understanding. Because images are the part of the content but what about image optimization. The alt text is the solution. It helps the search engines bots to understand what about your images. In your articles always use main keywords in heading titles because it makes much easier to understand bots about your topics so when someone search related to your article the search engines bots Crowl and display in the search results. As you can see in this post I use three heading tags in the above I’ll use H1 tag and in the middle, I’ll mostly use H2 tags and in the bottom, I’ll use the H3 tag. So when you are posting a new article on your blog use mostly H1 or H2 tags. 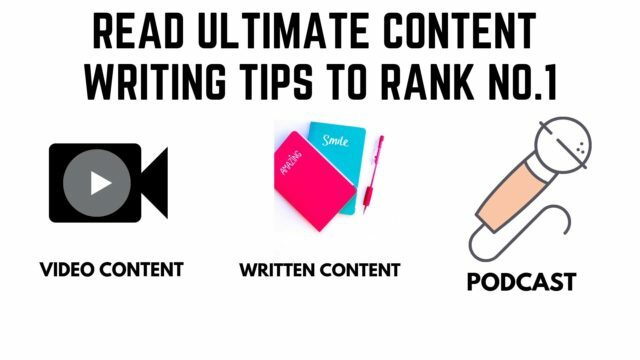 This is very important for your content ranking. When you are posting some new article than before posting it linking it with your other content between the article. As you can see in the picture how I put link of my another article between the text. when Google bots crawl your post and find your links that is linked with another article it thinks the referring content links may be useful for the audience and it gives you a higher place in search results. But search engine checks many more factored to rank higher so if you think only links can help you on ranking top it does not work. If your content in the text form you can put a video about your content and try to understand by the video graphics. In these days video contents are very popular and peoples loves to watch videos as compare to read any content. If you can put video in your post so it can also helps you in the ranking. if you are a blogger or content writer then your responsibility to make your content 100% unique and original, because Google always ranks original content. he does not like duplicate contents and copies contents if you post some copied content in your platform then Google will recognize it and punish your blog by dropping your ranking or blacklist your blog. if you hire some content writer fo9r your blog so it is a very important thing for you. Here some free tools copy chacking tools. Hey, guys in this post I try to cover most important factors of content writing and how can you do SEO. But these things are work when you work consistently. Many bloggers start a blog and when they fail in getting traffic on his blog leave it. But if you want to make your space in blogging field first you to patient because in these days are very tough rank any blog but if you will share right knowledge with the world you will get success in short time. So how’s this post share your thoughts in the comment box and if some suggestions for us please tell us and enable notification to get notified when we publish new post.